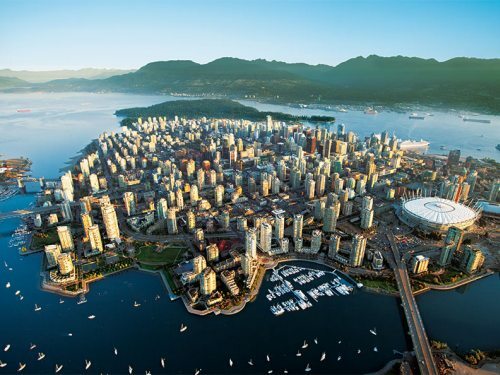 Montreal to Vancouver - $289 CAD roundtrip including taxes | new record! FlightHub is showing some fares from Montreal to Vancouver that are verifying at $289 CAD roundtrip including taxes, but I'm going to guess they likely can't come through on these, because on every other booking site, the $289 price is doubling once you get to the verification screen. Update @ 2:30 PM EST - These are now verifying on the WestJet website! See below for details. 3. Try Wed to Wed dates in late October or November. You may want to take screenshots the entire way. Update @ 2:30 PM EST - These are now verifying on the WestJet website! 2. Look for Wed to Wed dates in late October and in November. The WestJet site is still showing cheap one way flights TO Vancouver for $143 CAD including taxes on Oct 19, Nov 9, 23, 30, Dec 7, 14. But unfortunately there are no more cheap ones coming back. montreal, yul, flight deals, westjet, canada, north america, bc, british columbia, vancouver and yvr. 5 Responses to "Montreal to Vancouver - $289 CAD roundtrip including taxes | new record!" Unfortunately, I'm travelling next week on AC for over $800 return. I've never seen such an amazing fare from Montreal to Vancouver. I hope Christmas comes again soon! Anyone managed to get the $200+ deal? I'm currently checking on google flights and westjet the price is about 400+CAD for late Nov (9-15Nov). I jumped within an hour of seeing your email... $570 return total for 2 Nov 9-16, both flights non-stop.